Tucked away at the base of the Sequoia National Park, Kaweah Falls House is a unique retreat in the Sierra Nevada mountain town of Three Rivers, California. 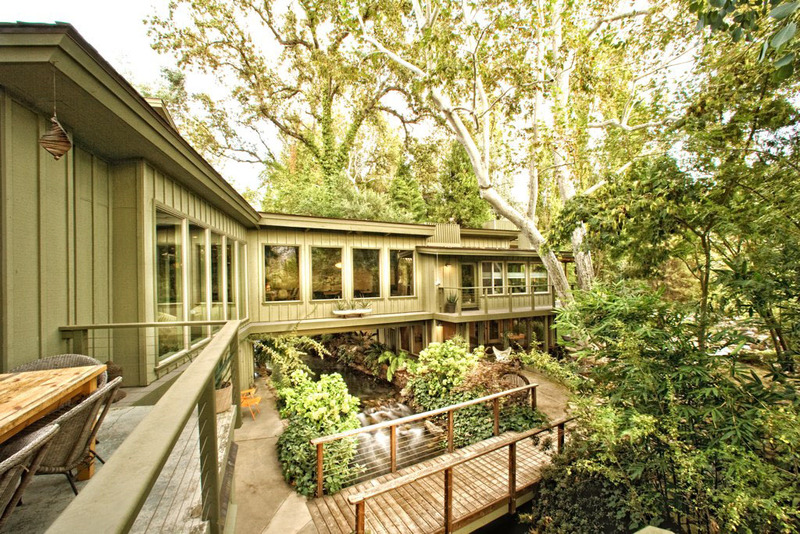 The house, which bridges a water flume, was designed by Frank Robert, a student of Frank Lloyd Wright’s. It is built on the spot where a fresh mountain flume meets the Kaweah River. A river literally runs through the house between the bedroom and the main living areas.